Twitter isn't yet making a profit, but analysts think its future is bright -- and that it's worth more than the current $11 billion valuation. 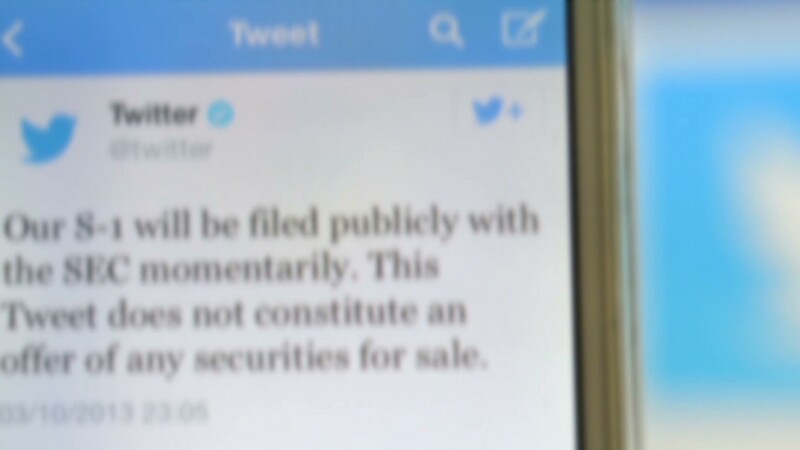 Twitter set the preliminary price range for its initial public offering at $17 to $20 per share late Thursday. At the top of that range, the company would be worth $11 billion. That's lower than the $15 billion to $20 billion valuation that some experts had predicted. Even the $11 billion figure might sound high given that Twitter is unprofitable. But investing in a company is about belief in its future potential, not its current situation. In a note to clients on Friday, SunTrust analyst Robert Peck said Twitter "wisely started the pricing conservatively" -- and he expects the company to raise its range, which isn't binding, over the next few weeks. "[Twitter] left room to raise the range based on potential investor demand, which we anticipate will be strong," Peck said. He based that demand prediction on discussions with several investors over the past few weeks, which leads him to believe the deal will be "well received." In fact, Peck set a $50 price target on Twitter. Related story: Why is Twitter spending so much on R&D? Morningstar analyst Rick Summer hasn't yet set his price target, but he noted that Twitter's valuation is "rich" when comparing its financial performance with that of Facebook (FB) and LinkedIn (LNKD). Still, he's extremely positive about the company's offerings and business model. "Twitter is a very unique medium, and we think that speaks extremely well of the company," Summer said. "It's not just about selling ads on the side of a page and measuring impressions." Twitter runs ads for corporate accounts, specific tweets and topics, and the sponsored content is tucked right into users' feeds. Advertising accounted 85% of Twitter's revenue in 2012. "They've done a good job of offering unique advertising and not forcing products that don't work," Summer said. "They dominate their market and really partner with companies, which use Twitter to distribute their content widely. It's attractive." Twitter has also been quick to offer those ad products on mobile. Three-quarters of Twitter's monthly active users accessed the service on a mobile device last quarter, and mobile ads brought in 70% of its total ad revenue. Mobile was the big area where Facebook suffered -- and, as a result, so did its stock. So it's a big plus that Twitter has figured out this important part of its business. But Nate Elliott, lead social analyst at Forrester, cautioned against judging Twitter through the lens of Facebook. Twitter was founded more than seven years ago, while Facebook had eight years under its belt when it went public in 2012. That's not too much of a difference from a timeline perspective, but Elliott pointed out that the two social networks have very different histories. "The big comparison everyone is making is how Twitter stacks up to Facebook," said Nate Elliott, lead social analyst at Forrester. "But Twitter is at a much earlier stage of business than Facebook was when it went public. Twitter is still figuring out how to best serve its audience." Twitter may be more green than Facebook, and is certainly less popular -- it has about a fifth of Facebook's user base. But that newness could be to Twitter's advantage. "We've had advertising partners tell us they're kind of burned out on Facebook, but they haven't gotten to that point on Twitter yet," Elliott said. "That doesn't mean they're necessarily sold on Twitter. But they're listening."